In a special event at the White House on Dec. 10, 2015, President Obama signed Every Student Succeeds Act to ensure that each student has access to a better education. This law will replace former President George Bush’s No Child Left Behind. 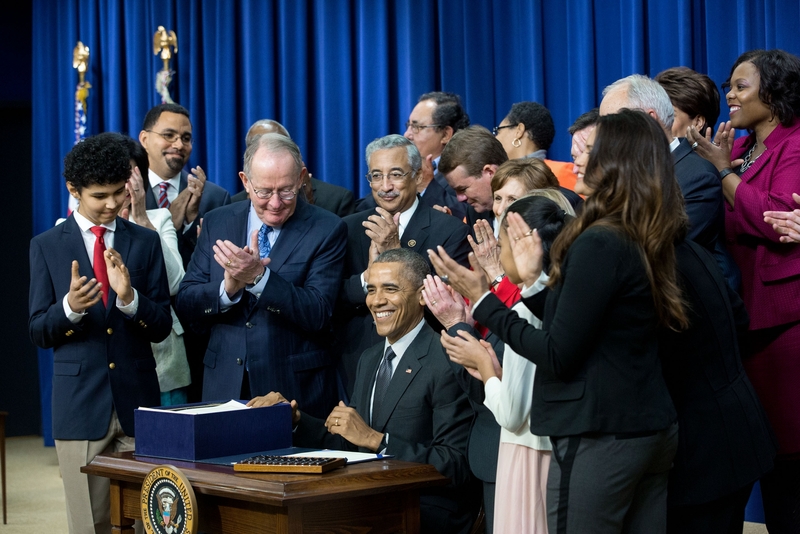 “Every child is entitled to have a great teacher,” said the president after signing the bill. The ESSA is bipartisan bill that both Democrats and Republicans voted to guarantee access to better education to all American children. This bill is the fulfillment of the idea that “no matter where you come from or where you start of, through a great education you can succeed,” said Pres. Obama.